Equine anaplasmosis (also known as Equine Granulocytic Erlichiosis) is a tick-borne disease caused by the bacterium Anaplasma phagocytophila (formerly known as Erlichia equi), also the cause of human granulocytic erlichiosis (HGE). It was first described in horses in California in the 1960’s, but has since been reported in multiple states of the USA and in Europe. Several cases have been diagnosed in the Shenandoah Valley so far this fall. Anaplasma phagocytophila is a bacterium that lives within blood cells and is carried by deer ticks, the same ticks that carry Lyme disease. Possible natural reservoirs of the disease include deer, rodents and birds. 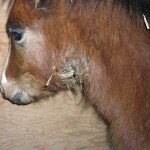 Horses seem to only suffer transient infection, so that they do not harbor latent disease. The disease is not contagious from one horse to another, but multiple horses on a property may be infected, depending on the local tick population. 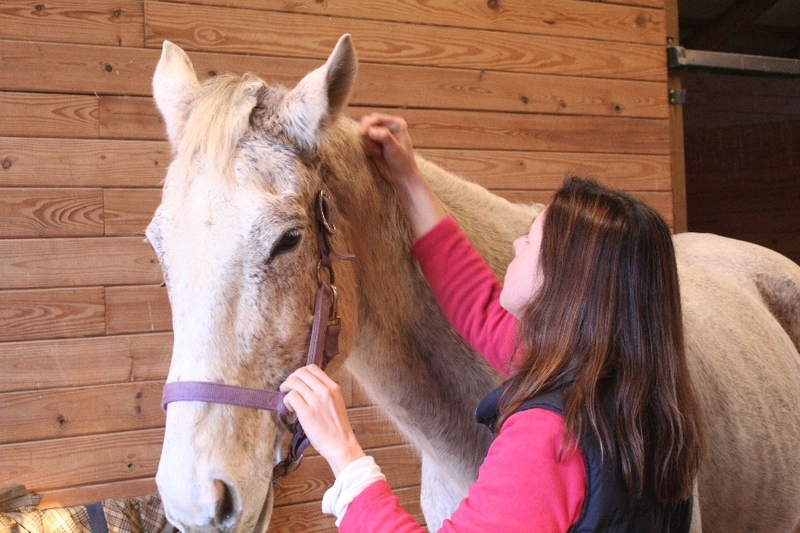 Horses most commonly get sick with anaplasmosis in the fall to late winter. They commonly show signs of fever, loss of appetite, reluctance to move (people with the disease complain of headache and muscle pain), leg swelling, petechiation (red spots on the gums and whites of the eyes), jaundice, and lethargy. Occasionally, horses may show neurologic signs, or have trouble rising. The clinical signs are in part due to the fact that the bacteria invades some white blood cells (neutrophils and eosinophils), leading to the destruction of red blood cells, white blood cells, and platelets. Bloodwork shows low platelets, which are important for clotting the blood, and anemia. Diagnosis can be made in several ways. The most definitive way to diagnose the disease is to look at the blood cells under a microscope to look for the presence of the bacteria inside the neutrophils. In some infections, though, only a small number of neutrophils may be affected, and therefore they may not be detected this way. Because horses mount a strong immune response to the bacteria, titer levels can be tested to confirm recent exposure. The treatment for anaplasmosis is the administration of tetracycline, usually oxytetracycline, minocycline, or doxycycline. Some horses with mild disease may recover without treatment. 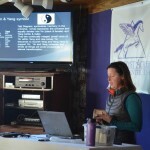 Most horses recover fully, although some may relapse in 3-4 weeks. Fatality from the disease is rare. There is currently no vaccine available, so prevention is limited to tick control.